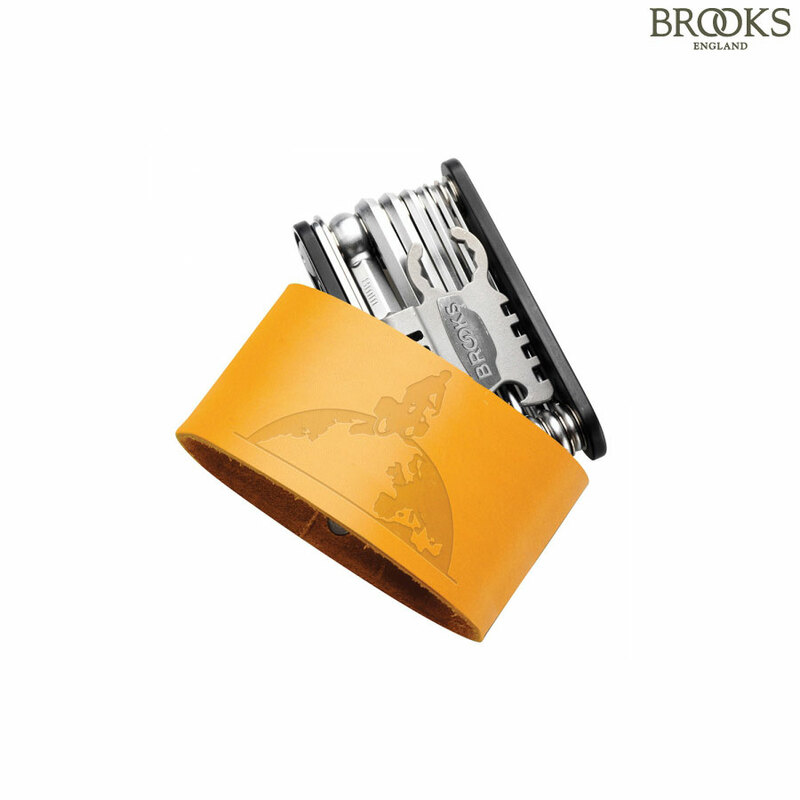 Over 700 members of the Brooks Community collaborated on the MT21, the multi-tool for travellers. This practical set includes a plentiful assortment of 21 tools including; 7 allen keys, 3 screwdrivers, 3 torx wrenches, 4 spoke keys, a chain tool, a handy bottle opener, the Brooks Saddle spanner and a knife. Available in a choice of three leather covers.